It has been a week of rain and cold days. Then the rain lifted, the blue sky shone through and we had a glimpse of a spring day. The girls and I headed to the park with our friends to get some much needed fresh air. 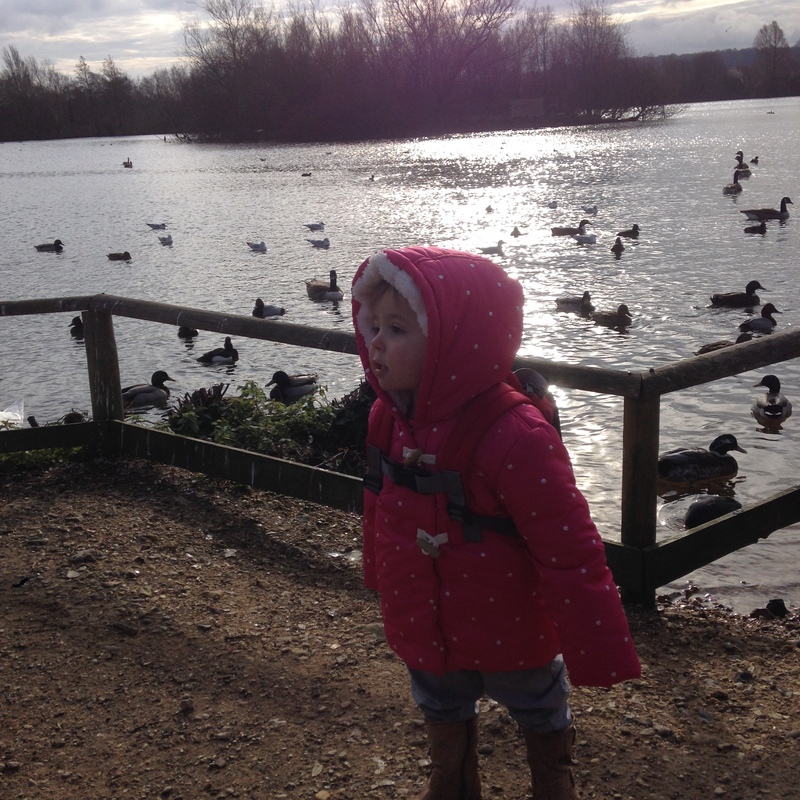 While we were there we went to see the ducks on the lake and as we approached them, I looked at my little Holly and her face lit her. She was totally in love with all these ducks walking around and swimming on the lake. It made me think that she probably doesn’t remember the last time we came and she was probably in the baby carrier getting a view from above. She hadn’t experienced them walking around her. 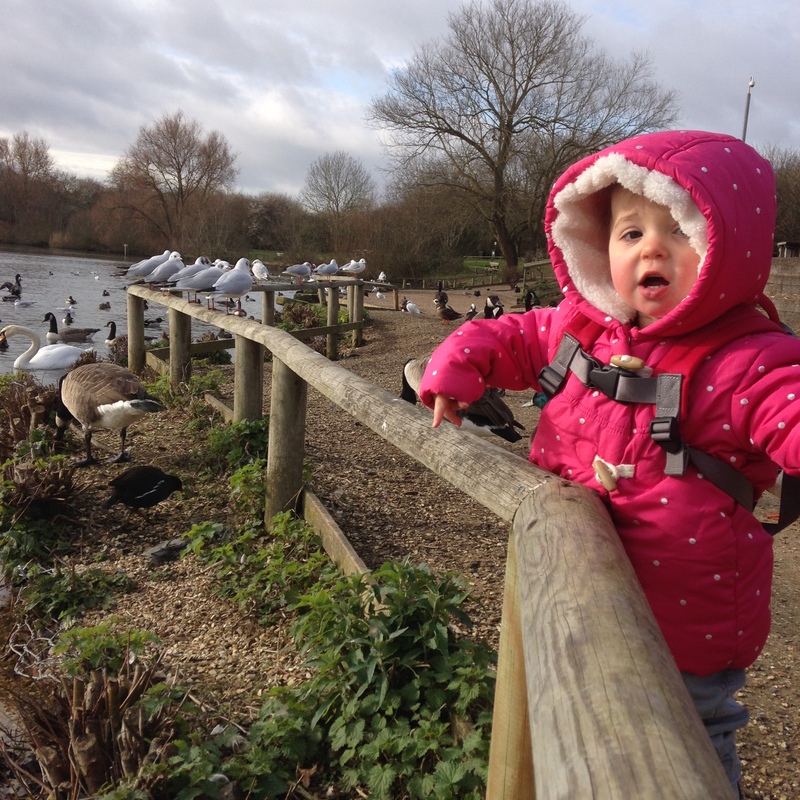 I love that such a simple thing, like feeding the ducks can bring so much joy to my little girl. To begin with, she was happy stood watching them swim around. When she got a bit braver, she started to run around, with the ducks following her, laughing and smiling. Sometimes as a parent, we forget that these little moments can mean so much to our little ones, that they are experiencing things for the first time. 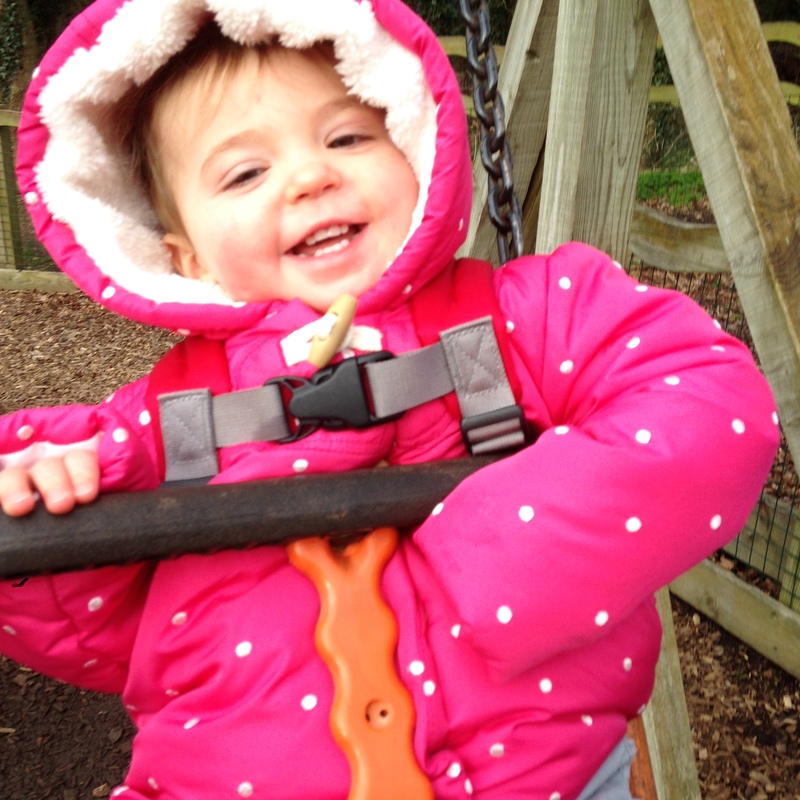 We couldn’t leave without Holly having a swing, which is her favourite thing to do…look at that smile! I don’t like the flapping either and have to try and hide it from the girls!! Aww that’s absolutely adorable! My little boy has just got to the stage where he can wander around with the ducks and he’s loving being down on the ground after all the time in the sling! Feeding the ducks is always a hit with my girls. Your daughter looks like she’s thoroughly enjoying herself. Ducks are such lovely birds – its always fun feeding them. 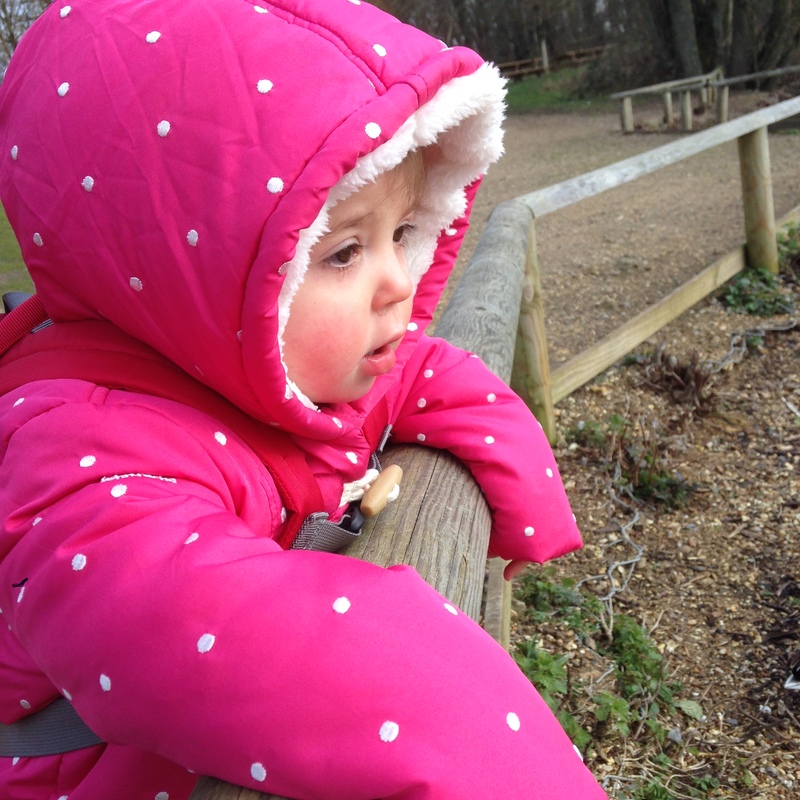 Love all your photos, the pink snowsuit is totally fab! some beautiful photo’s! , it is lovely when you can get outside with them! kids love the outdoors! 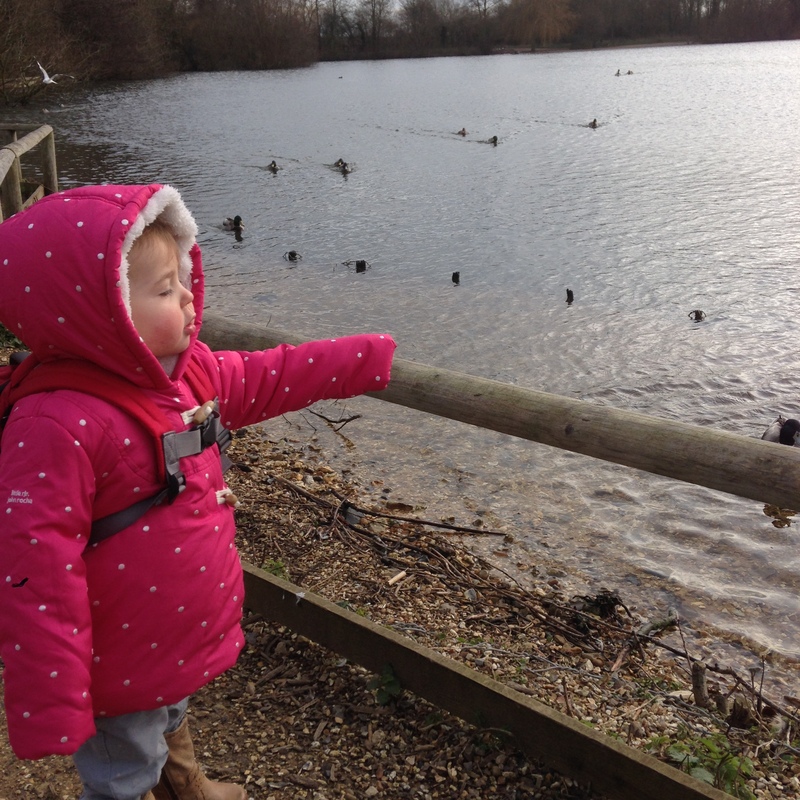 my toddler monster loves the ducks and walking around the lakes where we live! Children don’t need much to have fun and feeding the ducks and taking a walk are among life’s greatest pleasures! Love your fab photos too. Thank you 🙂 I agree, they love it and I think it’s important that they enjoy the simple things in life.